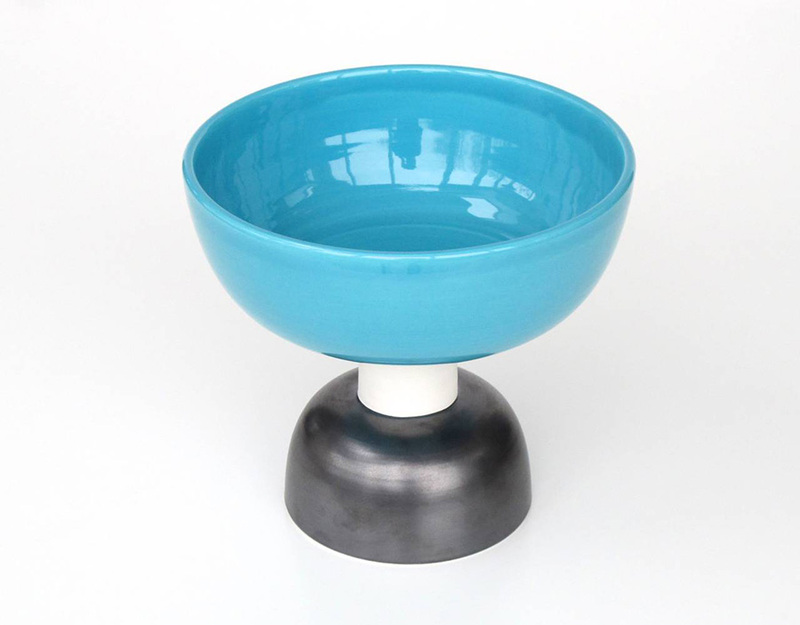 Large ceramic bowl, turquoise, black and white. Signed under the base. Ettore Sottsass (1917 – 2007) is a major figure of postmodernism. He joined the Italian Anti-design movement in the 60’s and Studio Alchimia founded by Alessandro Mendini, before to create the Memphis group in 1981. 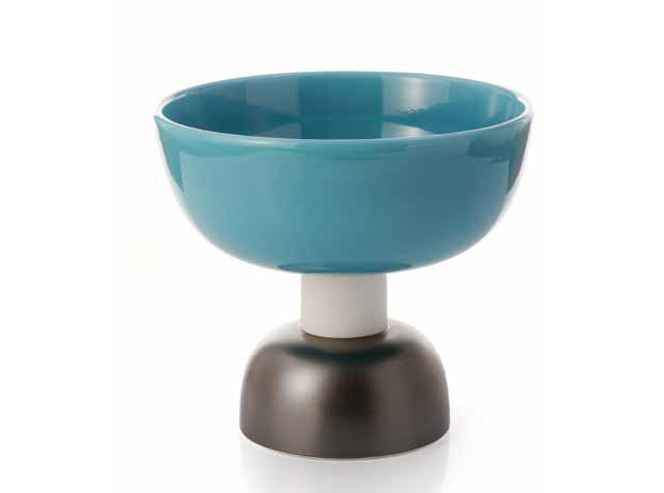 The Alzata Grande 543 bowl was designed in 1958 for Bitossi and is one of Sottsass most popular ceramic bowl. The collaboration between Aldo Londi at Bitossi Ceramiche and Ettore Sottsass started in the 1950. Thus were created the well-known black and white ceramics, the multicolour “Totems” and the historical production for Memphis. Sottsass had a positive and important influence on the artistic development of the company. Ettore Sottsass opened the way from tradition to design. The Italian manufacturer was created in 1921 by Guido Bitossi close to Firenze (a place with strong tradition in ceramic manufacture). The company came to design in the 50’s with Aldo Londi as art director. Bitossi is a reference in ceramic design for collectors and is an example of Italian excellence, thanks a.o. pieces by important designers like Ettore Sottsass and Piero Fornasetti. Bitossi always keeps alive its original craft roots, combined with a constant innovation, as visible in the contemporary production of limited editions by big names like Arik Levy, DimoreStudio and Karim Rashid.